We’re proud to announce that our 8th Noche de Ciencias (Family Science Night) is scheduled for Thursday, April 17th, 2014 at Sherman Oaks Elementary and Community Charter School in Campbell. 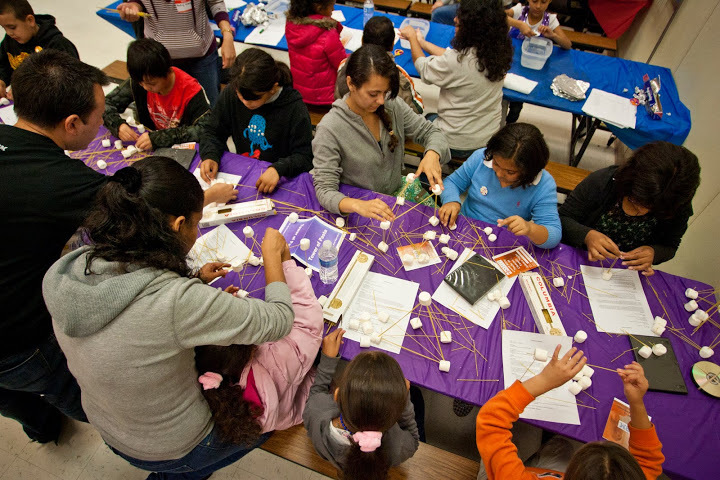 This is our largest community outreach event of the year targeting Latino/Hispanic students and parents to educate them about engineering, science, and technology with hands-on experiments and provide information about college and financial aid. 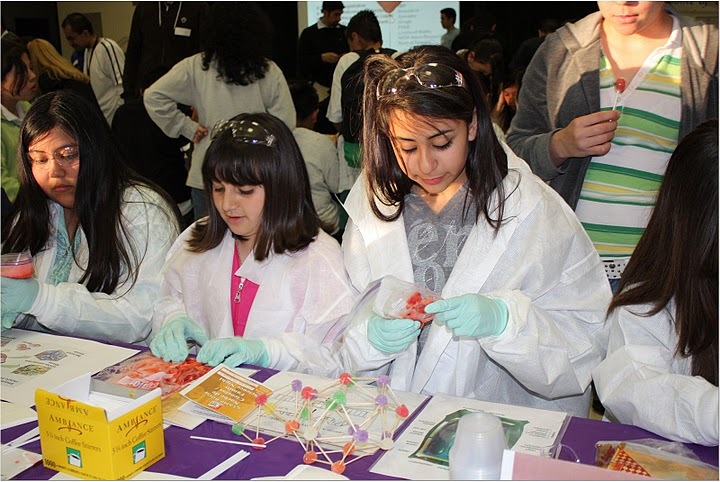 Students will experience various hands-on activities about the different fields of STEM (Science, Technology, Engineering, and Math). Parents will participate in round-tables to learn about college admissions and programs available to finance higher education costs and will learn how and why its important to start early. Come enjoy this educational and fun event for the entire family. We expect a large enthusiastic group of approximately 200+ students (and their parents) attend the event. This event is completely FREE to the public and will be conducted in English and Spanish. Food and refreshments will be provided. If you’re interested in volunteering or helping out at the event, please let us know and sign up at Volunteer Form.